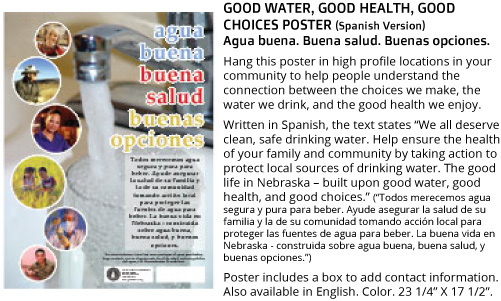 Poster - Good water. Good health. Good choices. Spanish version.